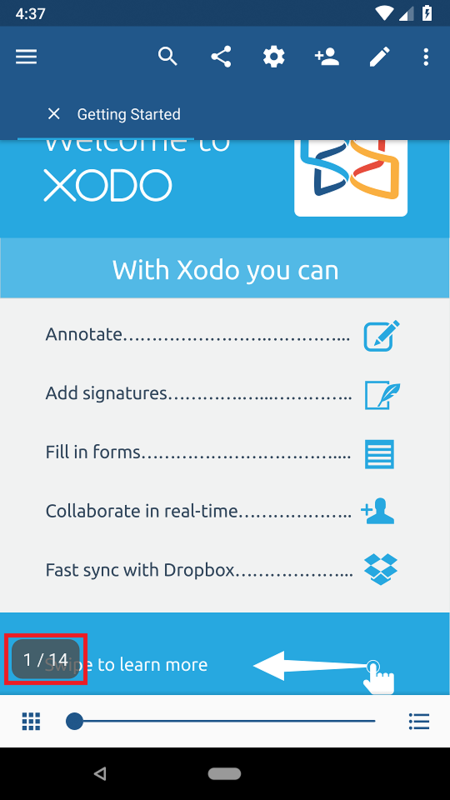 There are several ways to jump to a page in Xodo: by page number, by outline, by bookmark, or by using the thumbnail slider. 1. 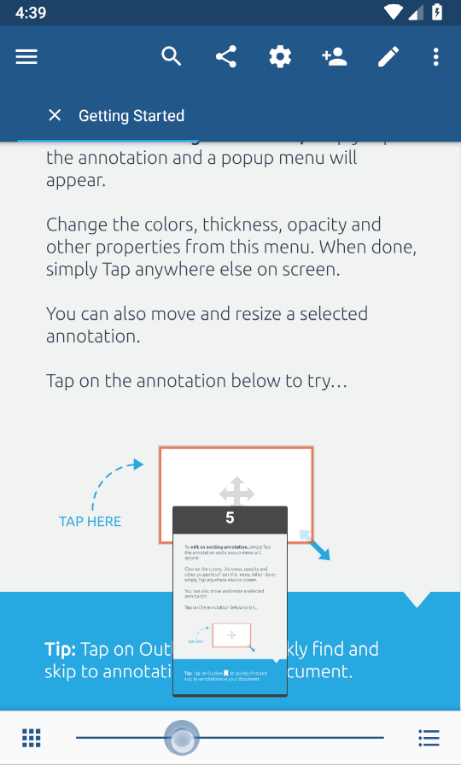 Tap the page number display in the bottom left hand corner of the document viewer. If you don't see the page number display, tap the center of your screen to bring it up. 2. 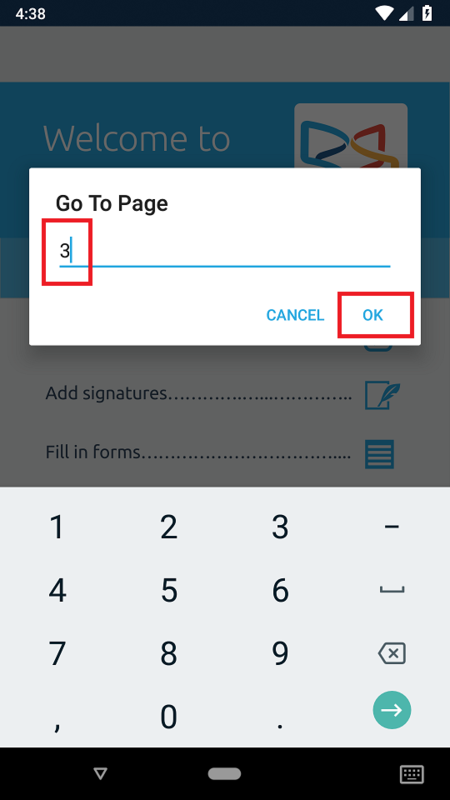 In the Go To Page dialog, type in the number of the page you want to navigate to and tap OK. 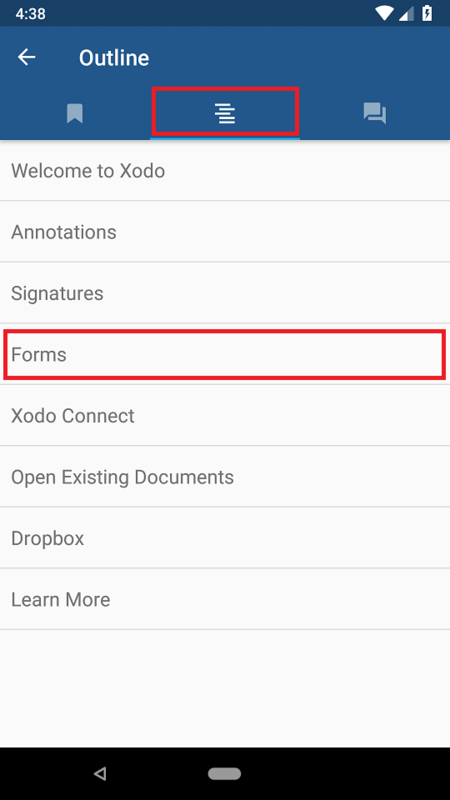 If your document contains a table of contents, you can jump to specific chapters and sections using the Outline view. 1. Tap the Bookmark icon on the bottom navigation bar. If you don't see the navigation bar, tap the center of your screen to bring it up. 3. Tap the chapter or section you want to navigate to. If you've added bookmarks to certain pages, you can jump to these pages from the Bookmarks view. 2. 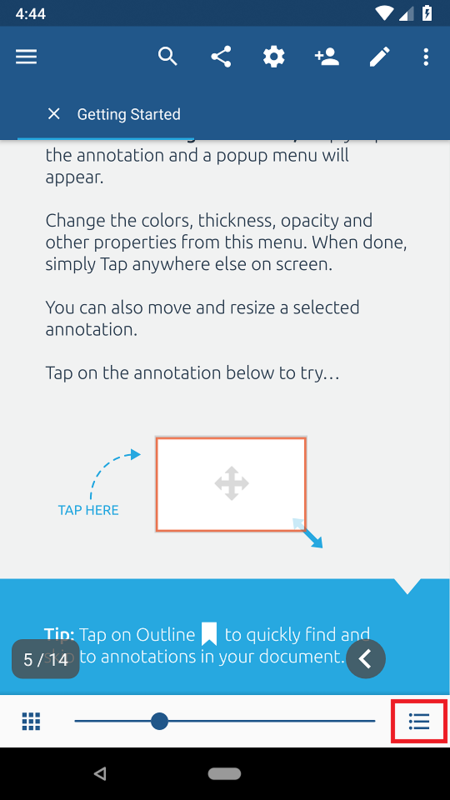 Under BOOKMARKS, tap the bookmark you want to navigate to. 1. Hold and drag on the thumbnail slider on the bottom of the document viewer. The grey square shows which page you will navigate to. 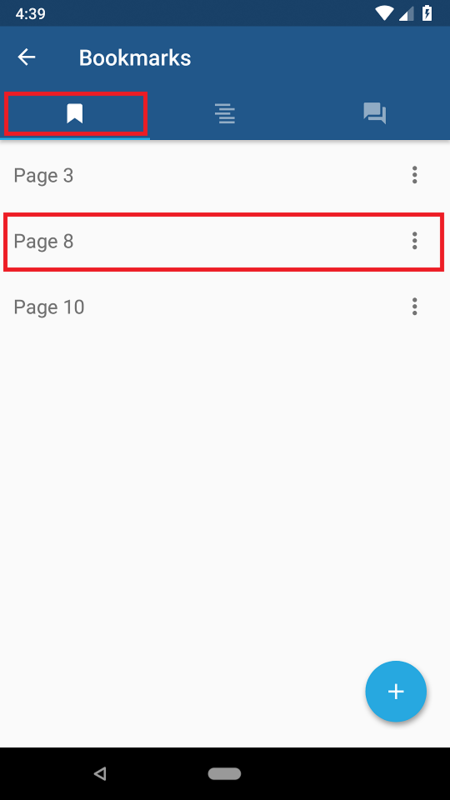 A thumbnail preview of each page and its page number appear above the thumbnail slider. If you don't see the thumbnail slider, tap the center of the screen to bring it up. 2. Release the thumbnail slider on the page you want to navigate to.